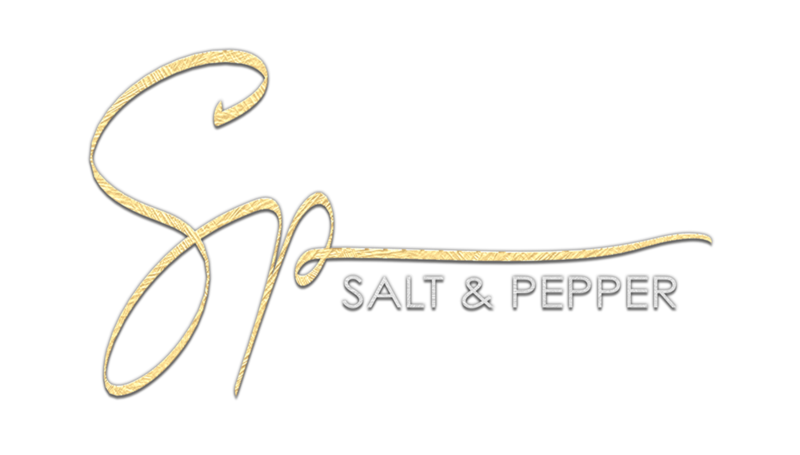 S&P Paintball coming to The Epiphany starting July 15th, 10pm SLT. A brand new INTERACTIVE set! This set is also available as a full Fatpack with cop/ no trans permissions. The Fatpack does NOT include the VIP item*, nor the Epiphany exclusive item. 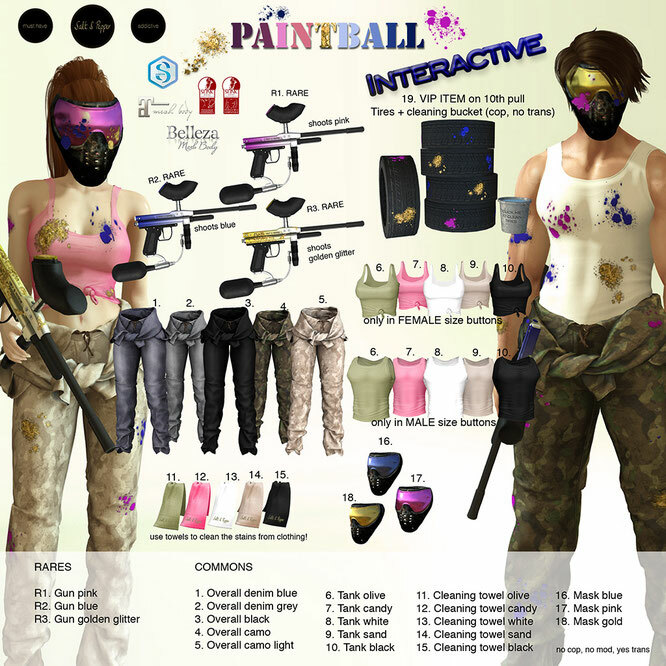 Use one of the 3 guns of the set to shoot at an avatar wearing any piece of clothing from the S&P Paintball gacha set. Each gun shoots a different colour (blue gun shoots blue, pink gun shoots pink, golden gun shoots golden glitter). Shoot either in mouselook or by click. One click - one shot. Click & hold - multiple shots in a row. The gun hits within a 15 meter range. The avatar can not sit on any object while shooting. You have to stand/walk or run for the splashes to work correctly. Use the cleaning towel to wipe off the paint from your clothing. The towel will autodetach when finished. There are 2 different style of tank tops. The male one is ONLY available within the male buttons, the female ONLY within the female ones. Wear the mask and click it to resize is to fit your head perfectly. Rez the bucket , click to clean the tires (anybody will be able to click it to clean the tires). It will be given automatically on the 10th pull on the machine, and is NOT included in the FATPACK option. 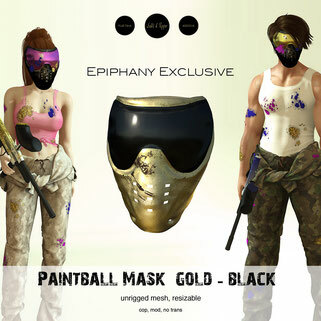 The exclusive item is the gold-black mask that is only available for 25 points. When you play the machine, each box gives you the option (after rezzing it) to keep or redeem the prize. If you redeem it, the box will be deleted from your inventory and points added to your account. 1 point per common item, 3 points per rare item. It's a nice way to get rig of unwanted doubles and earn points to get the exclusive item that will retire after the event is over.